Together, We're Creating the Future of Renewable Fuels. 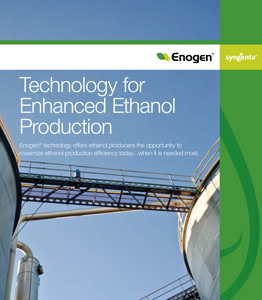 Enogen® corn enzyme technology enables process flexibility that results in increased profit potential for ethanol producers. 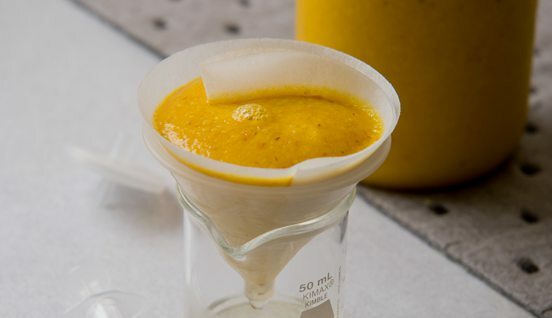 Using modern biotechnology to deliver robust alpha amylase enzyme directly in the grain, Enogen corn eliminates the need to add liquid alpha amylase, reduces production costs and improves process efficiency. 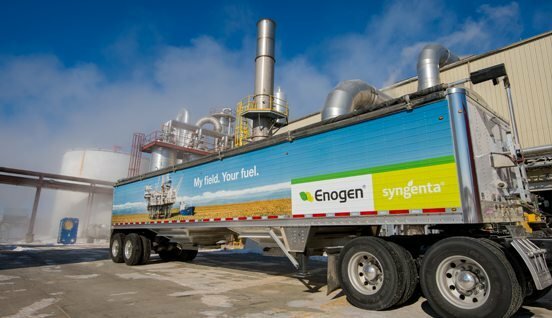 After your ethanol plant has signed a commercial agreement, Syngenta works directly with local corn growers to contract the necessary Enogen grain. Only 15 percent of the total corn grind needs to be Enogen grain in order to achieve the desired results. Growers are paid a per-bushel premium above market rates for supplying your plant’s alpha amylase enzyme. 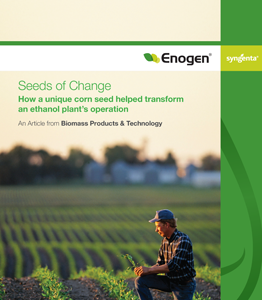 Syngenta works closely with ethanol plants every step of the way to make the conversion from liquid alpha amylase to Enogen grain a success. Cellerate™ process technology can be incorporated into your plant's existing infrastructure. 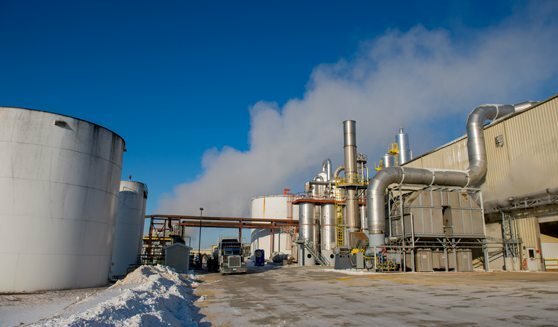 With this innovation, the biofuels industry now has the technology available to create 2 billion gallons of additional cellulosic ethanol – all from the same kernel of corn. 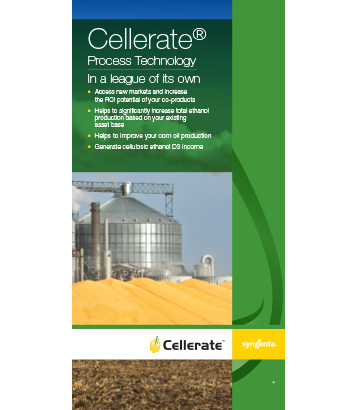 Cellerate™ process technology converts corn kernel fiber into cellulosic ethanol in a revolutionary procedure, increasing an ethanol plant's production. 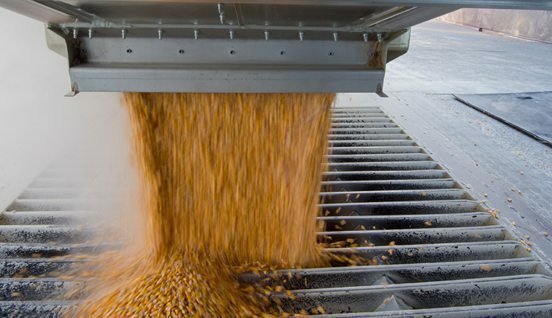 With Cellerate, ethanol producers are able to extract more ethanol from the same kernel of corn. 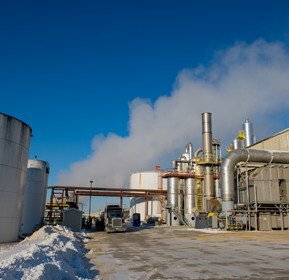 Cellerate enables your ethanol plant to leverage its existing infrastructure to produce cellulosic ethanol and significantly increase throughput. Without changes to the conventional starch ethanol process, Cellerate offers advantages to your plant including pre-treatment in the fiber that allows whole stillage processing without the requirement to separate all the fiber and starch. 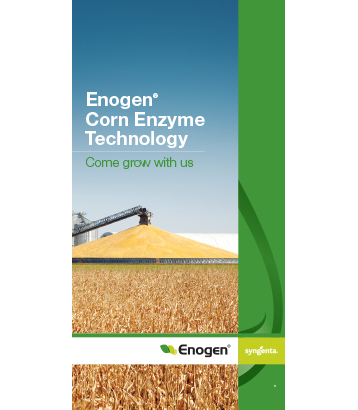 “Quad County Corn Processors began using Enogen corn in a trial in 2009 to improve plant profitability. 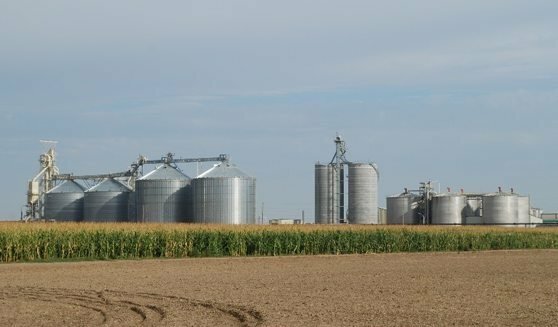 Travis Brotherson, QCCP plant engineer, recalls the immediate change in the ethanol plant’s production after adding Enogen grain. ©2016 Syngenta. 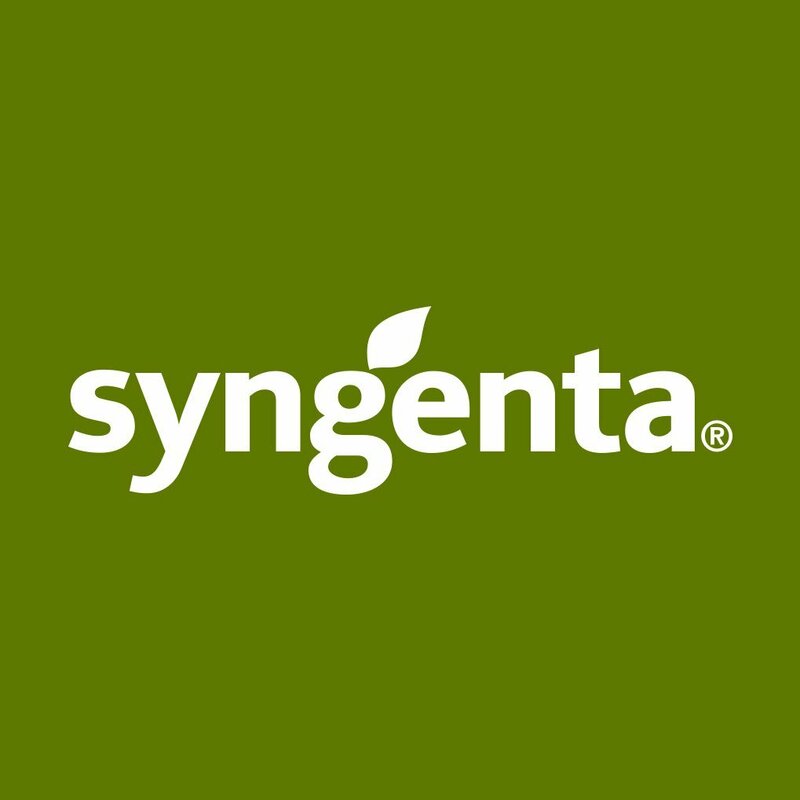 Cellerate™, Enogen® and the Syngenta logo are trademarks of a Syngenta Group Company.